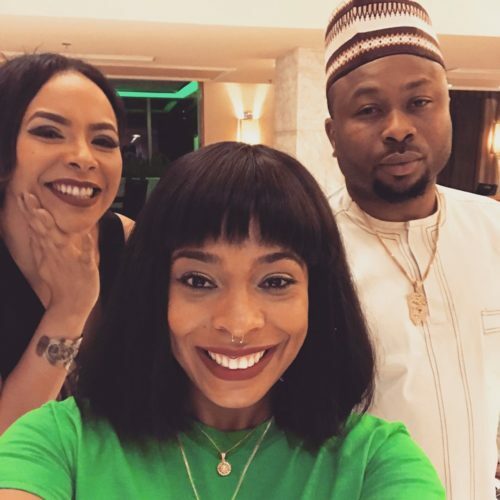 Big Brother Naija 2017 reality star, Tokunbo Idowu popularly known as TBoss took to her Instagram page to share a video that claimed she bumped into Tonto Dikeh’s estranged husband, Mr Churchill. A number of fans feel like she was on a date with him and didn’t bump into him as the video showed he wasn’t too happy to see her or wasn’t happy about the idea that a video was recorded. Some fans also alleged that Churchill’s side-chick, Rosaline Meurer has been replaced by TBoss. 0 Response to "TBoss’ Fans Accuse Her Of Sleeping With Tonto Dikeh’s Husband Churchill After She Shared Video"